Dong announced its partnership with SmartWind Technologies to install its "beamed radar for energy assessment and site conditions" (BEACon) system onshore near its 210MW Westermost Rough offshore wind project in February 2015. 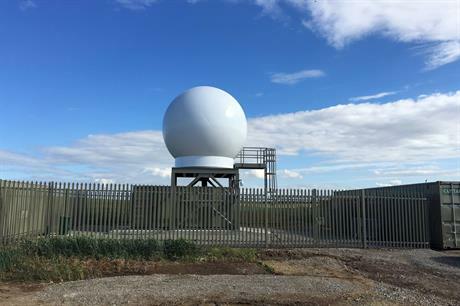 Two nine-metre high radar stations have had to be installed seven kilometers apart in order to accurately measure the wind speeds and direction. "We're getting minute-by-minute 3D images of the wind flow through the wind power plant. This is a game changer for the industry. 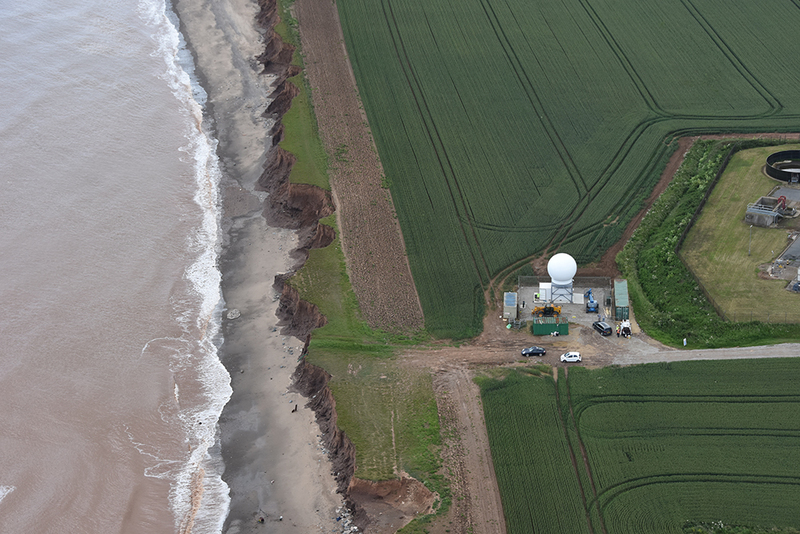 We are no longer limited to measuring the wind at just one point, now we can document the wind field across the entire wind power plant and coastal domain," said Nicolai Gayle Nygaard, Dong's technical manager for BEACon. "Conventional measurement technologies are like using a torch in a dark room — you have a limited view. With the new radars, the entire room is flooded with light. 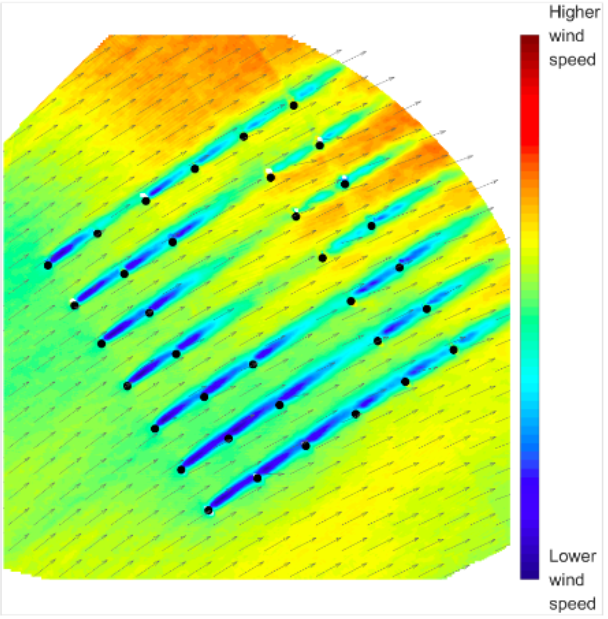 We get new insights that provide valuable information for the design and operation of future wind power plants," Nygaard added. The Danish firm said it could receive three-dimensional data up to 35 kilometres off the coast, depending on conditions. So far, the weekly volume of data collected exceeds Wikipedia in size, Dong claimed. The BEACon radars send out radio waves in narrow beams, which are scanned across the whole project. As the radio waves are scattered by wind particles, their frequencies are altered in an effect known as the 'Doppler shift'. It allows Dong to determine the wind speed and the wind direction, the developer explained. "The acquired data will facilitate long-term studies and aid real-time decision-making. Application of this new capability will undoubtedly drive down the cost of wind energy," said Texas-based SmartWind Technologies co-founder John Schroeder. Dong said the lessons learned from the 18-month programme would be used in future understanding of plant design and project operations in a bid to contiue decrease costs of offshore wind. In July, Dong set a record low offshore wind price of €72.70/MWh to wind the Dutch offshore wind auction to build the 700MW Borssele 1 and 2 offshore projects. That price was then beaten in September by Vattenfall in Denmark's nearshore tender. Westermost Rough was completed in May 2015. It comprises 35 Siemens 6MW turbines installed eight kilometers off England's north-east coast. The project is owned and operated by Dong (50%), with minor stakes held by Marubeni Corporation (25%) and the Green Investment Bank (25%).